Over at Oak House Studio the Circles and Flowers set of stamps has been chosen as Stamp of the Week and reduced to half price. I've had this stamp set for years and its definitely very useful. 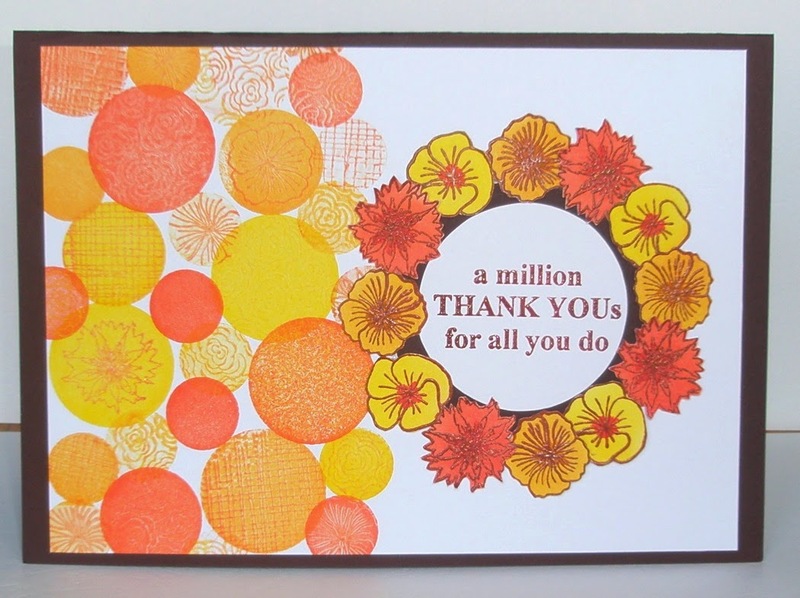 The background is inked with a mix of Lemon Yellow, Golden Yellow and Pumpkin Pie Pigment Inks and I had great fun mixing and matching colours and kissing with other stamps - the flowers plus the Rosette and Linen stamps. Not only adding more colour but taking ink off too. 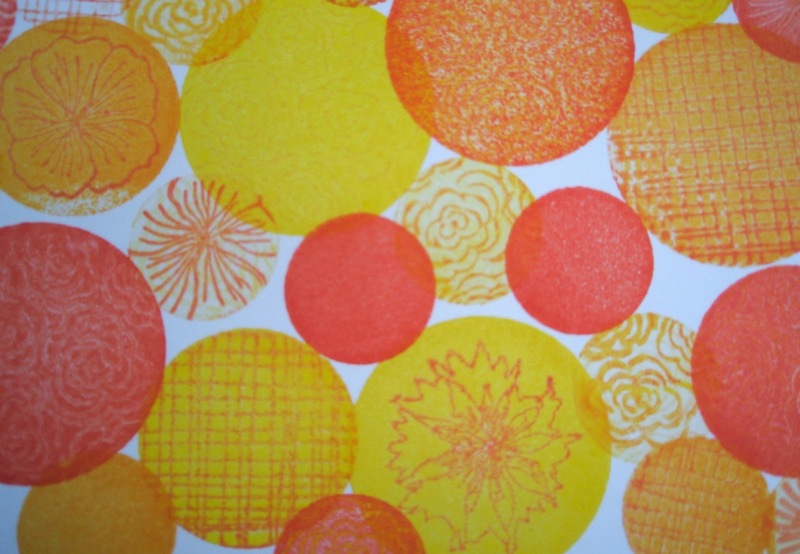 The palette stamps work brilliantly for this and create great patterns...... I warn you though, it's addictive. Here's a close-up of the effects you can get. The sentiment and flowers I've stamped with Fired Brick, clear embossed and coloured to match and mounted it all on maroon card. Thanks for popping by to look! If you like Oak House Studio stamps, then there's a call out for a new Design Team today - all the details are over on the BLOG. Why not give it a go and good luck!! Love the vibrant colours and the technique used, love those flowers around the sentiment too.